Tight on time? Stick with the 3 Key Takeaways and The Basics. These will provide your athletes with a solid foundation for understanding how to be a good sport. A survey conducted by TNS Worldwide Research in 2010 showed that less people thought sportsmanship was worse now versus a generation ago, the first decline in five years. This is significant as 12 years earlier ESPN reported that 81% of those surveyed believed that sportsmanship had declined at all levels. Still, sportsmanship should continue to be monitored and emphasized by coaches at all levels of sport. Being a good sport involves striving for success while adhering to playing fair, honestly, and with respect for the rules. 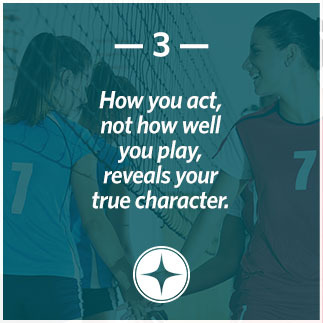 Encouraging these behaviors and demonstrating them yourself will help create an entire team of good sports. 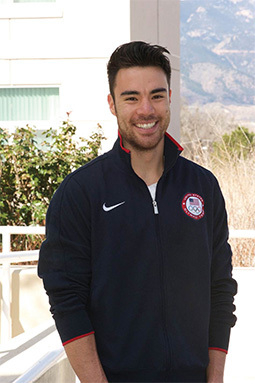 Jimmy Moody, a member of the USA Fencing National Team, knows all about what it means to be a good sport. Like most high-level athletes, Jimmy is a fierce competitor who wants to win, but he still follows the rules and is gracious in both victory and defeat. Fencing is a combat sport which means that tempers often flare during competition, so sportsmanship and treating your opponent with respect is very important. As a fencer, you can even be disqualified if you fail to salute your opponent and shake hands at the start and end of every match. This is not always easy, especially after a loss when the opponent has just eliminated you from competition. Yet Jimmy always goes to the line, takes a deep breath, looks his opponent in the eye, and shakes his hand with gratitude. This is important because he knows that it better prepares him for life and reveals his true character. No matter what situation TrueSport athletes encounter during competition, they always treat people with respect and are good sports. 2. Can you think of a time when you felt like Jimmy after a loss, yet you still shook your opponent’s hand with respect and gratitude? 3. 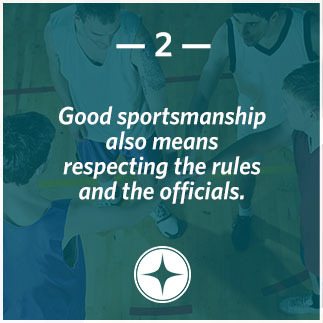 How can you practice better sportsmanship at camp this week or during your next athletic season? 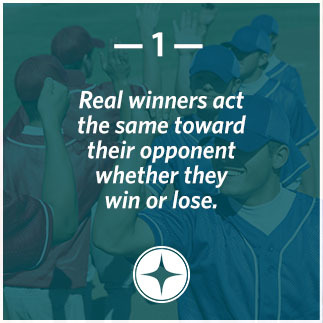 This 15-minute activity includes guided discussions to get your athletes thinking and talking about sportsmanship. Celebrate your groups’ completion of the lesson on being A Good Sport with this special TrueSport Certificate handout. Sign up to receive resources on A Good Sport!